For the modern minded. 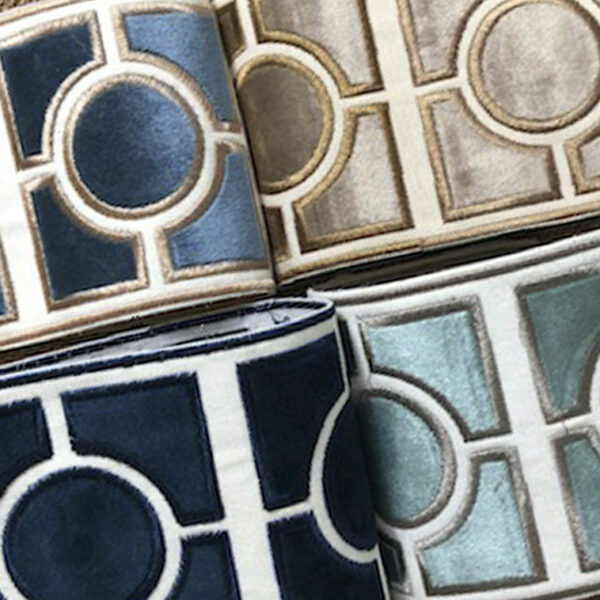 Our striking tapes infuse lavish velvet and a bold geometric pattern. An essential element to create signature pieces with high style. The substantial four-inch width is designed to make a powerful impact on drapes, furniture, walls and more. Wow your clients.